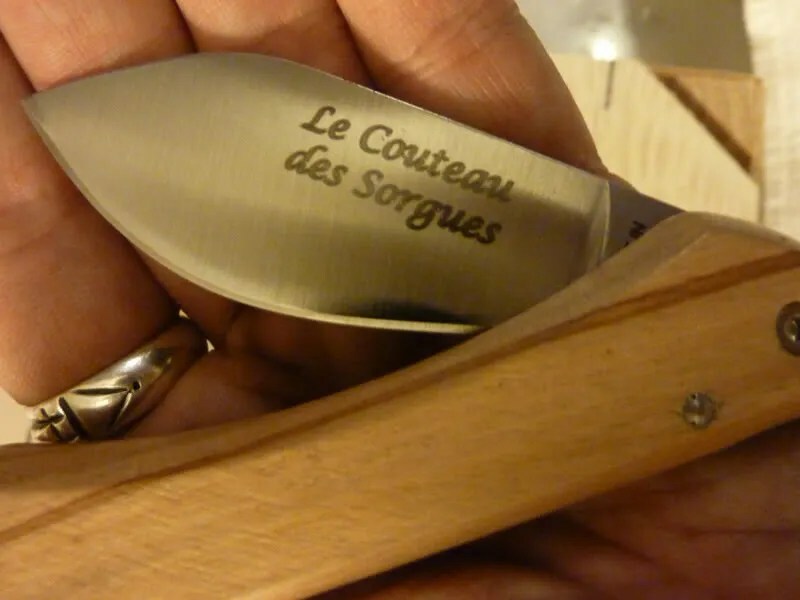 I had written an article on the Couteaux des Sorgues back in March 2012. We all know the film “Legend of the Fall” directed by Edward Zick with Brad Pitt, Anthony Hopkins and Aidan Quinn. Anyway great movie, big drama, nice music… and adapted from a novel by Jim Harrison. You need to read his books. Especially his early works including the formentionned Legend. And digging in Jim Harrison work , I have found out that he was (and still is) a huge fan of René Char. You don’t know René Char poet and writer ? You think poetry is for sissies ? TO quote wikipedia: Char joined the French Resistance in 1940, serving under the name of Captain Alexandre, where he commanded the Durance parachute drop zone. He refused to publish anything during the Occupation, but wrote the “Feuillets d’Hypnos” during it (1943–4), prose poems dealing with resistance. The man was legend. Let me tell you something: I’am a warrior and a poet. A warrior because you have to live and a poet because eventually you have to die. Poetry is mandatory. Written with ink or blood, it is what makes us human being “specials”. The great René Char was living in Xavier Conil family street. He was also their friend and never the last to share a meal or a story with them. 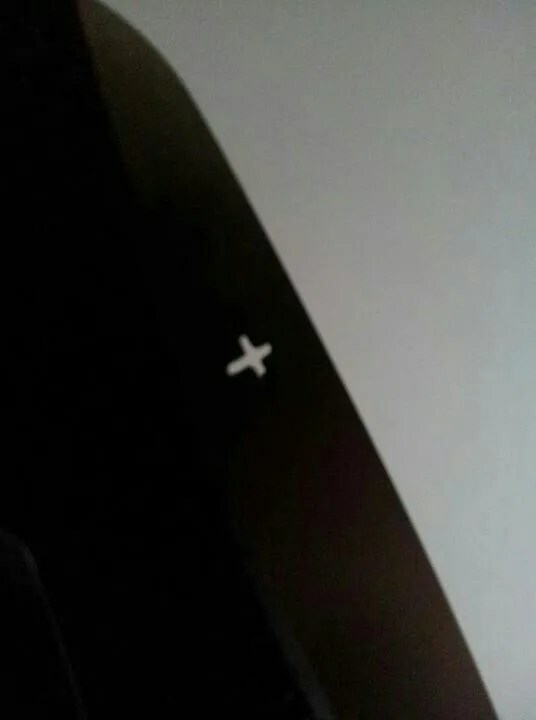 Xavier was born around men of legend. His father was a collector of knives and Xavier got his first folding knife “Canif” when he was 8. BTW “Ca-nif” the French word for folding knife (used to whittling feathers to write poems) hence… “k-nife”. Xavier has been a bladesmith since 1995 and really gifted one. The man got a knack for bringing beauty into function. 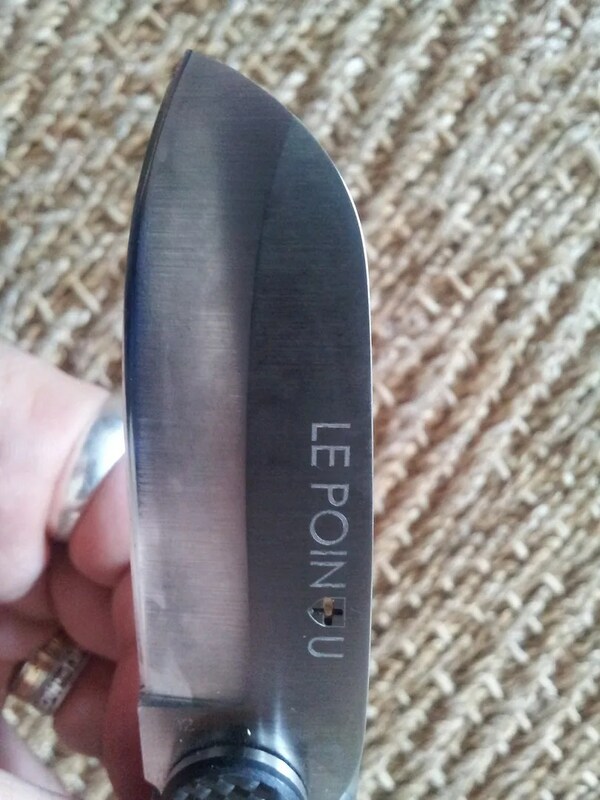 On that, his “Le Pointu” is a perfect example of friendly EDC Born In Marseille knife. 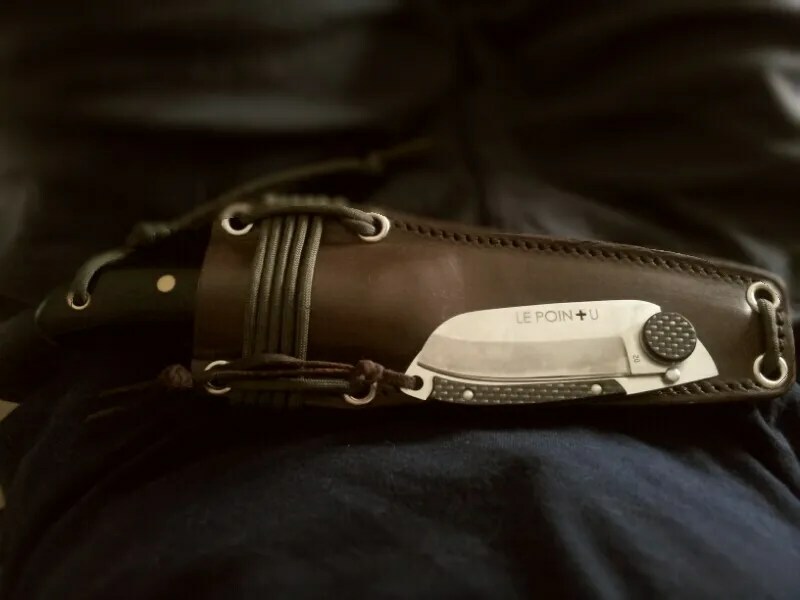 Now Xavier and his good friend Laurent Monnier are releasing a special 20th Anniversary edition with an ebony handle and a very clever pocket sheath. 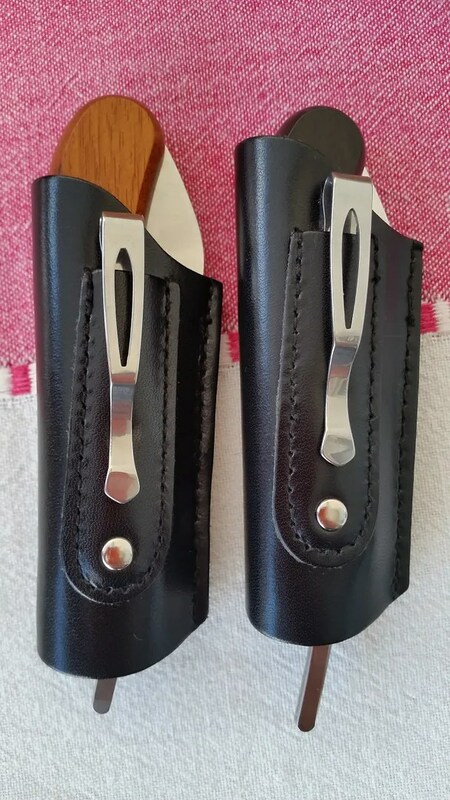 The sheath is clipped to the lip of the pocket and a gentle push pops the knife out. 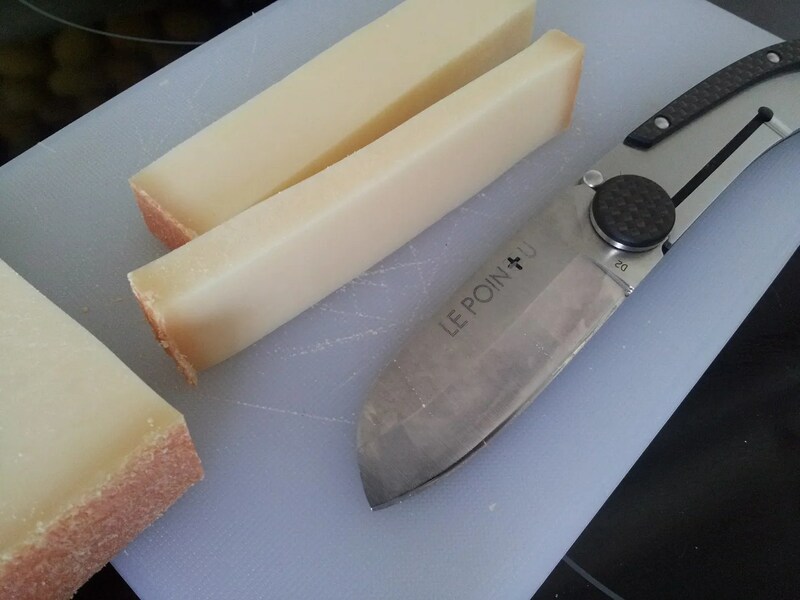 Very clever and gives you a “One Hand handling Legal Knife” always on the ready. 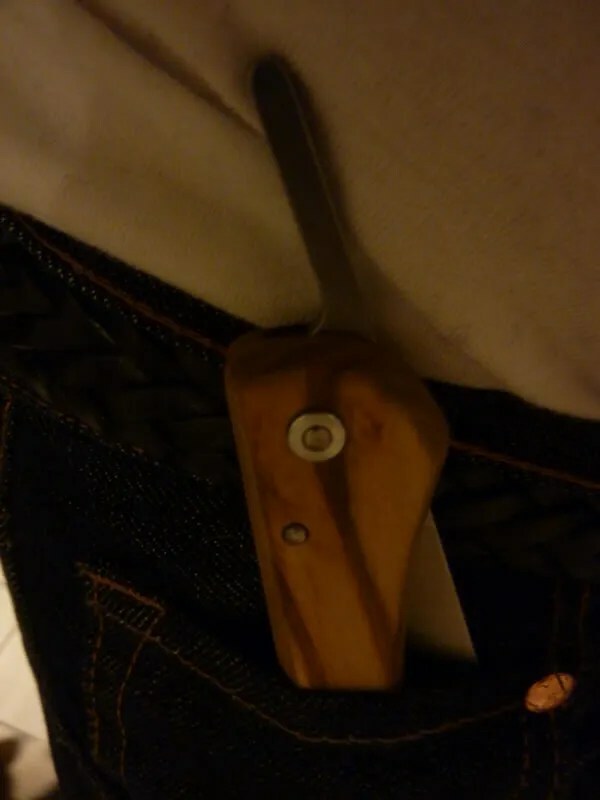 And this blade is always “incredi-belly” powerful on wood !! Posted on 04/08/2012 04/08/2012 Author nemosandmanCategories Folders, UncategorizedTags Laurent Monnier, Le Pointu, Xavier Conil3 Comments on Le Pointu Minimal Luxe part II – Friendly, fun and reliable. Imagine a powerful blade in a legal folding package. 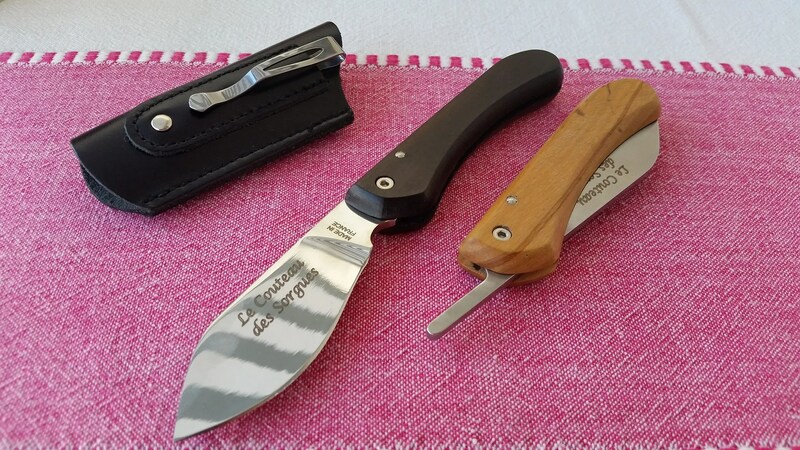 This friction folder is the offspring of Xavier Conil who is a really gifted bladesmith knifemaker and designer leaving in the South of France. 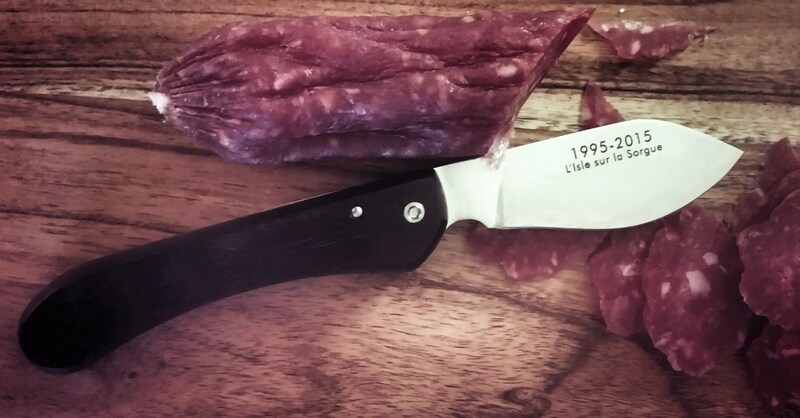 Like every Conil’s knife, you find a strong personnality in a very well thought package. No lock. 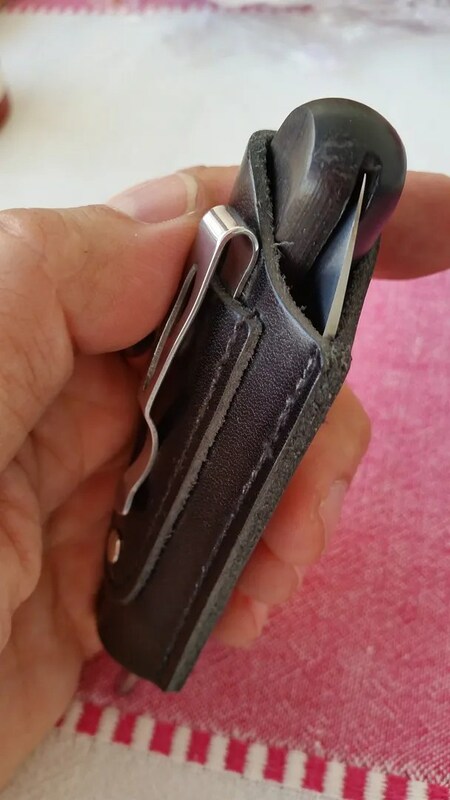 The blade is lock with your grip like with all friction folders. Also this new version (the third actually and for history the first batch has been offred and carried by Sal Glesser four years ago…) provides a choil which is a second security. 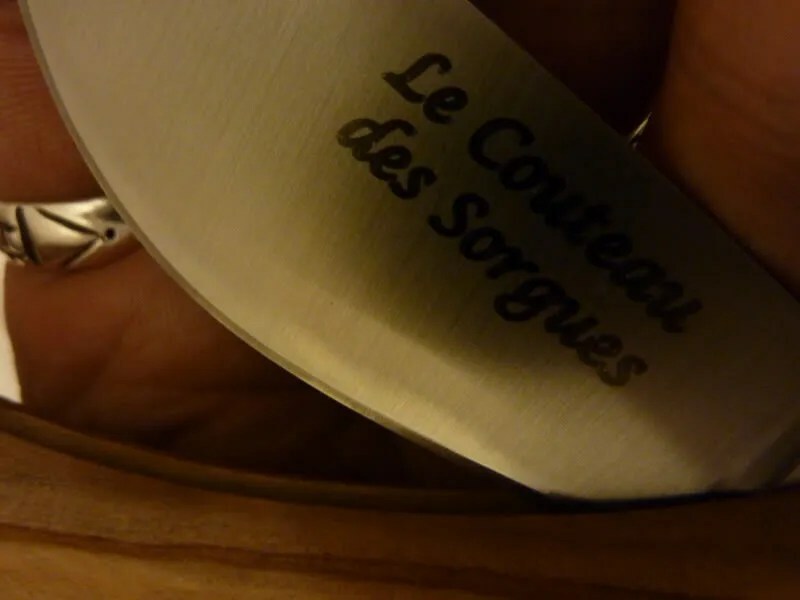 The really good point in the Couteau des Sorgues is… Wait a minute. you don’t know what a Sorgue is, do you ? OK let’s start by this: the sorgues are a net of streams and rivers in the south east of France in the Vaucluse. The Sorgue is a river. 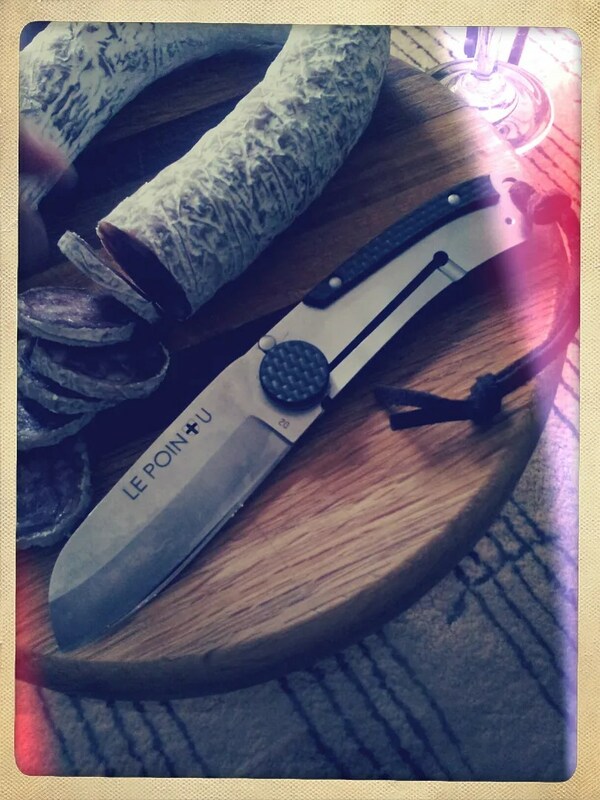 So this a knife for the outdoors and for the amphibians…. the frogs ! The beautiful wooden Olive Tree handle is gentle and generous. You cut hard and deep. The belly of the flat grounded convexed edge blade helps a lot. This is a knife thought for great performance. Once open the “natural” lock works perfectly and the new add choil helps you to feel what is happening. 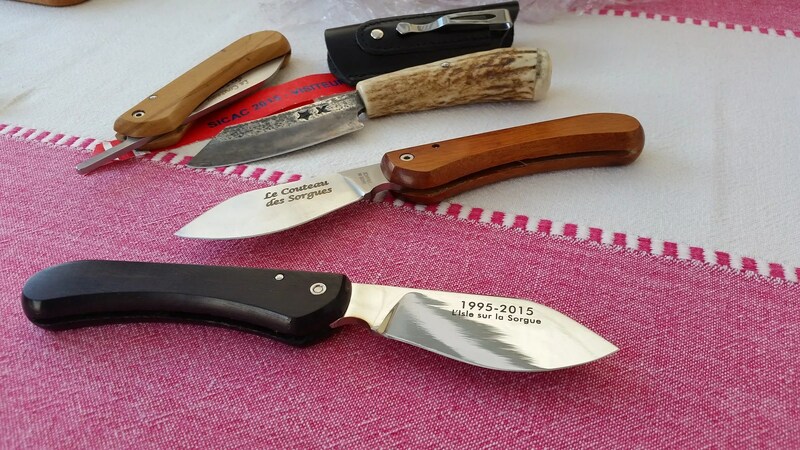 For reminder, the friction folder knives can be found since the antic times. But let’s not forget: what we call the handle was considered in that times has a attached sheath. So the cutting were made by holding the knife by the blade, like a barber with a razor. 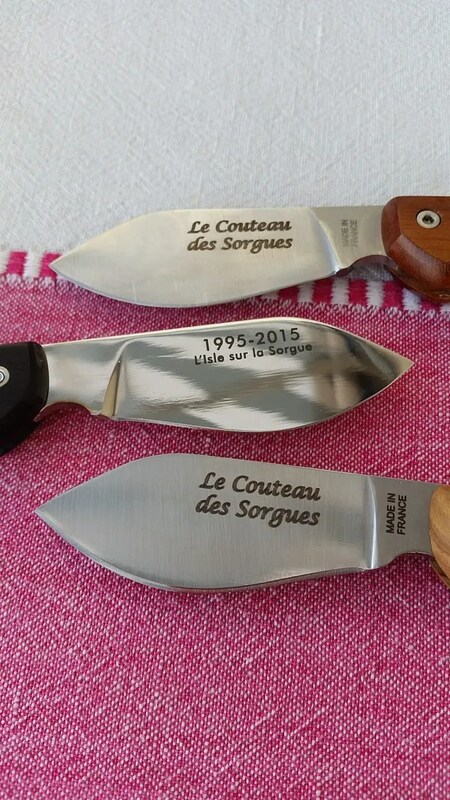 With this new batch of Couteaux des Sorgues, you can grasp the handles and cut with full power. The construction is über solid and work is precise and reliable. 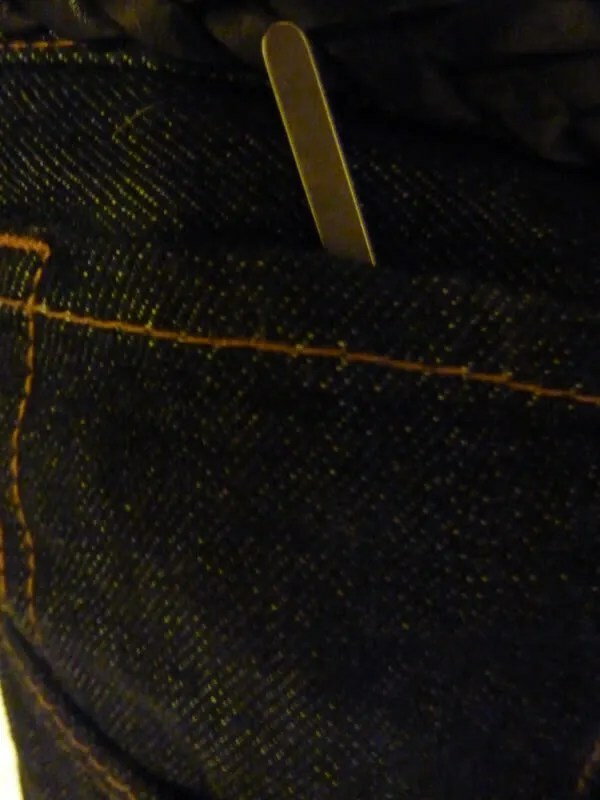 Easy to carry in a Denim watch pocket and easy to pull and retrieve, you got here a great alternative to “tactical” folders. 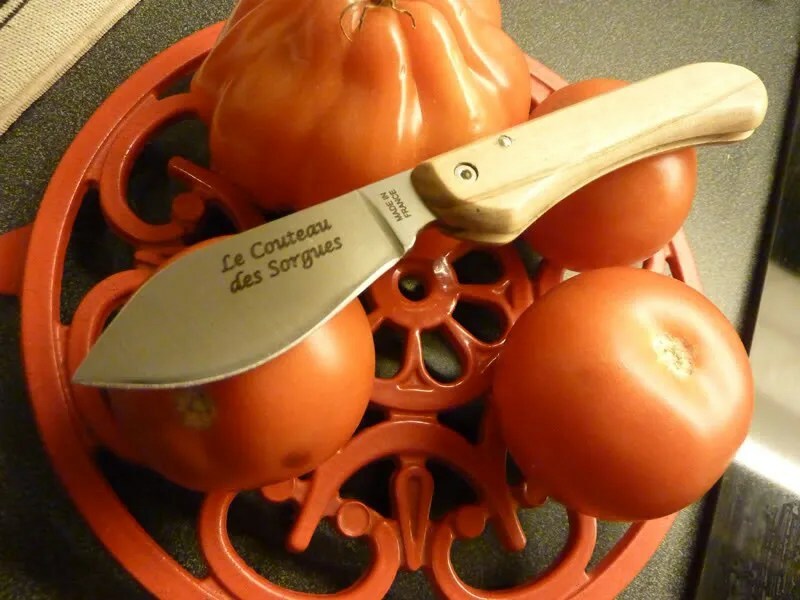 This knife is made at Thiers by Claude Dozorme and the steel used is Xr50. The factory edge is gently stropped and convexed which is an incredible attention for such a bargain. 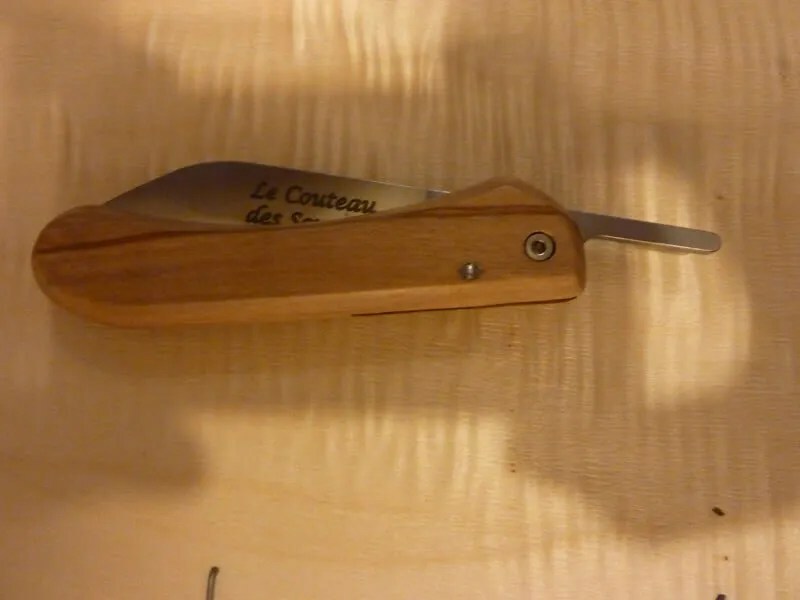 Le Couteau Des Sorgues III is a great folding bushcrafter and it can be enjoyed in the UK.